This story contains spoilers for the Life is Strange series. With episodic releases in 2015 on Steam and 2016 for PlayStation 4 and Xbox One, Life is Strange quickly rose to critical acclaim due to its great storytelling and positive portrayal of LGBT characters, depression and teenage issues. Life is Strange 2′s first episode, Roads, was released on September 27, 2018 on Steam, PlayStation 4 and Xbox One. The game is set in the same universe as the first Life is Strange, but the characters and plot are unrelated. The first episode of Life is Strange 2 focuses on a wholly different subject from its predecessor, with prejudice and race being a firm basis for its narrative. These titles have a lot in common as they both tackle social issues that are not typically spoken about in video games. With such a promising start, will Life is Strange 2 be even better than the original? Life is Strange tells the story of Max Caulfield, a reserved 18-year-old with a keen interest in photography. After being away for five years she moves back to her old town, Arcadia Bay, so she can enroll in private school Blackwell Academy. Reunited with her former best friend Chloe Price, the two try to discover what happened to a missing student named Rachel Amber. It is during her time at Blackwell Academy that Max also finds out she can rewind time. However, this newfound power comes at a cost. Each choice Max makes has consequences and it forces the player to think carefully about their decisions. Life is Strange focuses on the butterfly effect. One seemingly small choice you thought had little repercussions goes on to majorly affect the world around you. The storytelling in the game is its strongest point, with the plot being intriguing and emotional. Max’s relationship with Chloe is a high point of the game. Despite some issues with dialogue (did anyone really say “hella”? ), the progression of their friendship is both believable and enjoyable to watch. Life is Strange also portrays suicide and teenage pregnancy exceptionally well. These topics are not commonly seen in games and it is praiseworthy of Dontnod to include them. Max Caulfield and Chloe Price from the original Life is Strange. Max’s sexuality in Life is Strange is fairly discreet, with certain dialogue branches, decisions, and passages in Max’s journal briefly touching on it. Chloe appears more open with her attraction to women, as her relationship with Rachel would suggest, whereas Max’s is less pronounced. The game is subtlety written in a way that makes Max’s sexuality a component of her personality rather than an outright plot device. 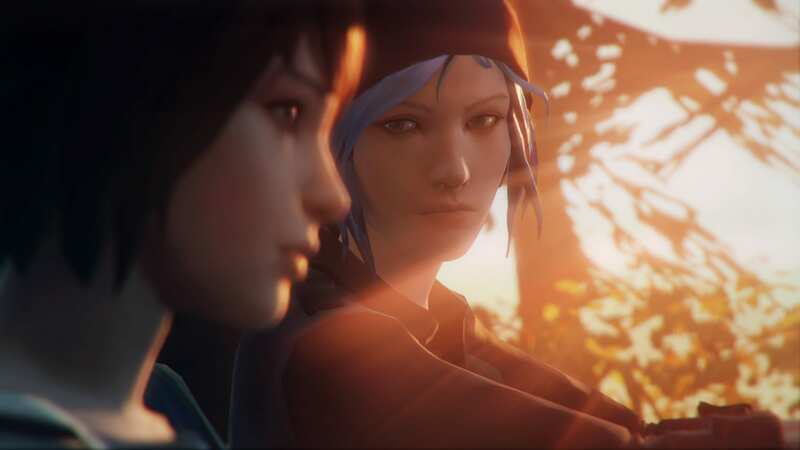 Max and Chloe’s sexualities are present, but they do not define the characters. The audience’s reaction to this demonstrates how the game’s approach to characterization has resonated. 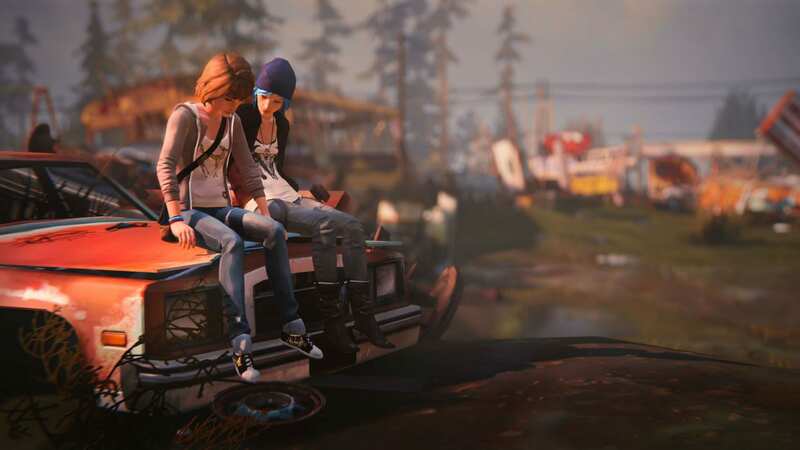 There are many discussions and theories about an array of things in Life is Strange, such as Max and Chloe’s relationship and the reasons behind Max’s powers. People have invested so much of their time into the game’s world, story and characters that they want to talk about every aspect and come up with their own reasons and theories for what happened, why a character behaves this way, why the doe and butterfly are reoccurring motifs, and more. The game still has a huge and active fanbase despite the last episode being released almost four years ago. The depth behind this following doesn’t indicate the game’s quality, but it does show how Life is Strange has struck a chord with many people. LGBT issues in games are no longer as uncommon since the release of Life is Strange. More recently, there have been more LGBT characters in games, such as Tracer and Solider 79 from Overwatch, and Gregg, Angus and Mae Borowski from Night in the Woods. It’s not clear whether Life is Strange has inspired other game developers to represent more LGBT individuals in their titles, but they have grown more popular. Life is Strange has certainly touched people in a way that most video games strive to do. Dontnod succeeded in creating a game that is special, relatable and just downright good. Partners in crime and time. The opening of the first episode in Life is Strange 2 seems like any other teen drama. Sean Diaz, a sixteen-year-old boy from Seattle, is heading home from school with his best friend, Layla. The pair smoke on a porch and discuss crushes and an exciting party they both want to attend later that night. Once at home Sean starts looking for the items he wants to take to the party (alcohol, snacks, blankets – the usual!) and yells at his nine-year-old brother Daniel for being an annoying little brat. There are a few pleasant conversations with Sean’s father and it is made clear that his family is extremely close, despite the absence of his mother. The angsty teen drama is cut short when Sean defends Daniel from an abusive neighbor. Sean takes the fight too far and the man is severely injured just as a police officer drives past. When he orders both children to remain still, their father comes out to intervene and is shot by the officer. This is also the first time you witness Daniel’s power. Although we are still not completely sure what his full capability is yet, his power manages to destroy the nearby area and kill the police officer and their neighbor. Daniel appears to have a telekinetic ability as he is able to move and destroy his surroundings without lifting a finger. The outburst causes him to pass out from overuse (similar to Max’s nosebleeds and blackouts when rewinding time in the first game). With three dead bodies, Sean carries an unconscious Daniel away from the scene and makes the decision to run away from home. Sean and Daniel Diaz from Life is Strange 2. The premise of Life is Strange 2 is Sean and Daniel’s experiences of life on the run. The plot focuses on the prejudice towards the brothers’ Mexican-American race. This subject is one that is prevalent in today’s news. The brothers’ father was shot almost immediately by a white police officer due to his race. This is not the only time you see the subject of race being brought up. 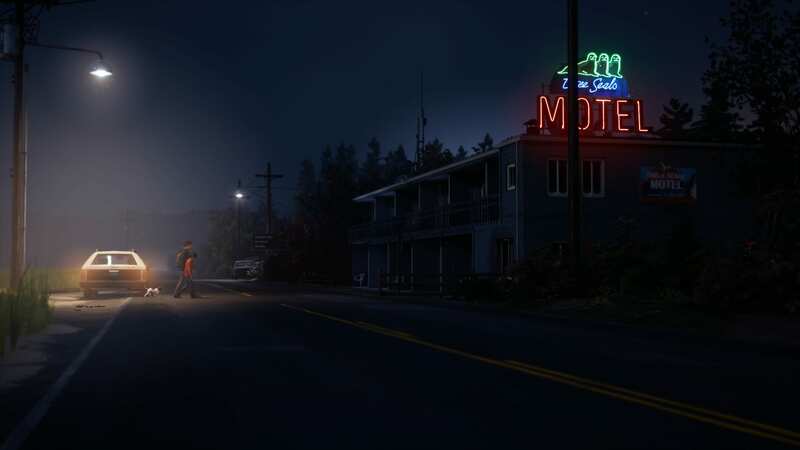 Later in the episode when Sean and Daniel reach a gas station after spending the night in a forest, the shopkeeper is initially wary of them. When the pair start to leave after purchasing a few supplies, the shopkeeper’s husband accuses them of stealing (you can steal items, but this cutscene happens even if you don’t) and proceeds to aggressively manhandle the two boys and shout at them. He calls the police and then handcuffs Sean to a pipe in his office. A friendly blog writer encountered earlier in the episode helps the two brothers escape from the mess. He reveals the residents in this area are particularly untrusting and prejudice to non-white individuals, especially since news of two Mexican-American boys running from a crime scene has spread. This is also proven prior to the gas station mishap when Sean and Daniel meet a family sitting on a bench outside of the store. The parents are dismissive and unfriendly towards them, and their children are rude and judgmental. The plot is incredibly harrowing as the discrimination towards Sean and Daniel is something that happens daily in America. Dontnod has created two games where both stories focus on social issues uncommonly touched upon in video games. However, Life is Strange 2’s plot is not only more controversial, but also has the foundations to make a more interesting, relevant story that is rarely addressed. It is commendable to see a sensitive topic like racism play such a huge part in Life is Strange 2. Daniel, Sean and Mushroom – the puppy – finally get to sleep in a warm bed. The writing in the second game has improved considerably. Not only is the dialogue less cringy, but your actions and their consequences appear to have a bigger impact on the world. Sean’s decisions inwardly affect Daniel’s perception, which in turn will also majorly affect the story. If you completed the first Life is Strange, then you will know that none of your choices really mattered in the end. After scratching your head and rewinding time a bunch before you confirmed your choice, it was disappointing to discover only the final choice in the last episode affected the ending. The revamp of the action and consequence mechanic is a huge improvement and makes you really mull over Sean’s choices because your actions and words have greater weight. Is Life is Strange 2 better than the original? The first episode was an impressive and extremely interesting experience. However, it is difficult to judge whether the whole series will be better as there is only one episode currently available. Dontnod has once again created a game with an absorbing and emotional story, with likable and well-written characters. The argument for Life is Strange 2 being a better game than the original is certainly there based on its first episode. If the writing continues to be at this level and does not wane over the next few episodes, then Life is Strange 2 could well be Dontnod’s best work. It seems likely that Life is Strange 2 will be better than the original once the remaining four episodes have been released. The second episode of Life is Strange 2 will release on Jan 24. Be sure to check back at GameLuster for a review.